The rural people in the south of our planet suffer more from climate change than any other group. Global warming and irregular rainfalls make agricultural production even more difficult and riskier. Integrated Rural Development tries to cope with these changes, supporting the rural poor adapting to new challenges. Additional, development projects like the ones of Don Bosco in Mozambique and Nepal try to contribute to a healthier environment by introducing eco friendly technologies. 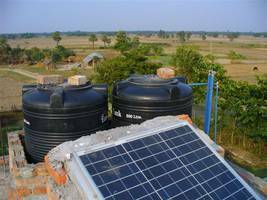 The natural environment in Mozambique and Nepal is very good for Solar Energy. In rural areas with no access to the general electricity networks Solar Energy is the perfect alternative for rural poor to get electricity for achievable costs. As fuel for vehicles and heating is getting more and more scarce and expensive, Biogas is becoming more and more popular. 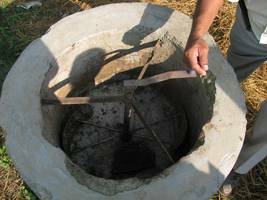 First experiences in Sirsia, Nepal, are quite promising and show that Biogas works without big investments. Chemical herbicides are expensive and may be hazardous for plants and consumers of agricultural products. All over the world, Rural Developments projects invest in research about traditional and new Alternative Herbicides without negative impacts. Pedal Pumps are becoming increasingly popular in irrigation: they are quite simple and cheap, don´t need fuel for working and maintenance is simple. Winnowing of rice and other cereals is hard work for rural families. 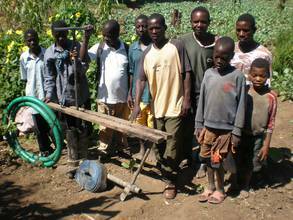 Simple machines for Hand Operated Winnowing reduce the work load and are easy to build. When outsiders dominate IRD projects there is always the risk of trying to introduce new techniques without looking for traditional knowledge. Traditional Wisdom normally is quite adapted to the local environment and – as a lot of IRD projects show – it works! Read more on climate change and eco friendly technology on “Investing in our Planet” from the Global Environment Facility.